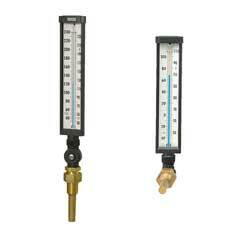 Trend and Wika Industrial Thermometers offer quick, easy-to-read temperature measurement for tough applications. 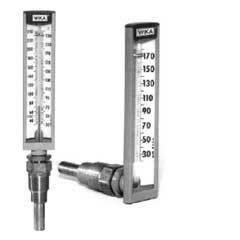 Wika manufactures both Wika and Trend labeled line of thermometers as well as a complete selection of accessories. Completely adjustable locking case & stem; ranges to 550°F (288°C) in Fahrenheit, Celsius, and dual scale; available with or without thermowell.